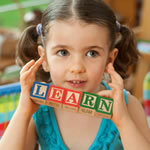 Children with learning disabilities begin school expecting to learn and be successful. If your child is having difficulty in school, she may learn differently from other kids. Parents are often the first to notice that “something doesn’t seem right.” But sometimes knowing what to do and where to find help can be confusing. Children grow up to be adults and unfortunately learning disabilities cannot be cured or fixed; it’s a life long issue. And some individuals don’t realize they have learning disabilities until they are adults. With the right support and interventions, however, children and adults with learning disabilities can succeed in school and life. Recognizing, accepting and understanding your learning disability are the first steps to success. 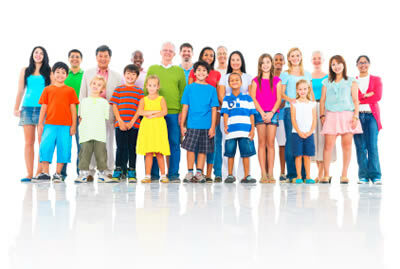 Learning disabilities often run in families. They should not be confused with other disabilities such as intellectual disabilities, autism, deafness, blindness, and behavioral disorders. None of these conditions are learning disabilities. Because learning disabilities cannot be seen, they often go undetected. Recognizing a learning disability is even more difficult because the severity and characteristics vary. Parents can help children with learning disabilities achieve success by encouraging their strengths, knowing their weaknesses, understanding the educational system, working with professionals and learning about strategies for dealing with specific difficulties. Most importantly, if you suspect you or your child has a learning problem, don’t delay in seeking help and taking action! If you suspect that your child’s learning difficulties may require special assistance, please do not delay in finding information and support. The sooner you move forward the better your child’s chances for reaching his full potential. Maybe you have wondered if you are overreacting, or if the situation will work itself out over time. The truth is, you know your child better than anybody else. And regardless of who may tell you that it’s a “phase” or “nothing to worry about,” only you know how much your child dreads Monday morning. You have watched the impact of his daily struggles on his self-confidence. Deep down, you know something isn’t right. The good news is there are things you can do. In fact, the only “wrong” thing to do is to do nothing. If you wait to seek help for your child, frustration and a sense of failure will continue to erode your child’s self-esteem, while the window of time for meaningful intervention narrows. Since you are one of the best observers of your child’s development, you will be able to recognize potential problems early. But, in order to spot problems early, you’ll need to know the warning signs! There may be a number of reasons why your child is having a hard time. But what you are seeing could also indicate a learning disability. This does not mean your child is “slow” or less intelligent than your child’s peers. Their brain is simply wired differently for learning and your child needs to adapt strategies that make the most of your child’s abilities. The earliest possible intervention is critical to your child’s success in school. Learn to recognize the signs of a potential learning disability. If you have observed several of these signs in your child, consider the possibility of a learning disability. It is normal for parents to observe one of these signs in their children from time to time. But if your child consistently exhibits several of these signs, it is important for you to take action to get him the help that he needs. trouble learning numbers, alphabet, days of the week, colors and shapes? difficulty controlling pencil, crayons, scissors? difficulty with buttoning, zipping, typing skills? make consistent reading and spelling errors including letter reversals (b/d, inversions (m/w), transpositions (felt/left), and substitutions (house/home)? have trouble learning about time? spelling the same word differently in a single document. taking on reading or writing tasks. with open-ended questions on tests. adapting skills from one setting to another. with a slow work pace. It is never too early to seek help for your child, but waiting too long could be very harmful. If you see several of these signs over a period of time, consider the possibility of a learning disability. Knowing what a difference early help can make will help you lose your fear and take the next steps to getting help for your child! 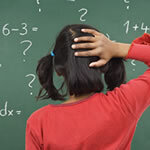 It can be hard to acknowledge that your child is having difficulty in schoollet alone a potential learning disability. Perhaps you have worried that by calling attention to your child’s learning problems he might be labeled “slow” or a “discipline problem,” or sent to the wrong class. What many parentsand their childrendon’t realize is that most kids with learning disabilities are just as intelligent as their peers. Their brains are simply wired differently for learning. They need to be taught in ways that are best adapted to how they process information. Receiving help in the early grades greatly improves the chances for these kids to adapt learning strategies that will enable them to succeed in school. Among children who struggle with basic reading and language skillsthe most common learning problems75% of those who do not receive help until the third grade will struggle with reading throughout their lives. But if those same kids receive appropriate help by the first grade, fully 90% of them will achieve normal reading ability. By identifying what is causing your child’s learning problems, you are one step closer to getting the help you both need. Your child can still have hope for a wonderful future if given the proper tools and learning strategies. Though the process of getting help may seem overwhelming, finding support for your childand for yourselfis easier than you might think. In most cases, talking with your child’s teacher should be the first step. Share your concerns with your child’s teacher and ask about her observations of your child’s performance, interactions with his peers, etc. Together you may come up with strategies to try in the classroom and at home to support your child’s learning needs. Most teachers want to help and will work with you to try and meet your child’s learning needs. If you feel it may be necessary, your child’s teacher can also help to arrange a full evaluation of how well your child is performing in school. Also, be sure your child has had a thorough physical examination by a medical doctor or nurse practitioner to assure that there are no major health problems that might be interfering with learning. 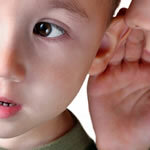 Be especially certain to have eyes and ears checked for correctable vision and hearing problems. Write down any questions you have before entering the meeting. These questions should be geared toward gaining greater understanding of your child’s problems and how to address them in the school setting. Review records of previous conferences and educational decisions before attending conferences and be prepared to share them with school personnel. Be ready to share your observations about your child’s academic progress. Listen well and participate in the meeting with an open mind, knowing that you are all there to facilitate school success for your child. Keep careful and detailed notes at the meeting. Don’t be afraid to ask for clarification if you do not understand something that was said. Ask for information on the curriculum and how students’ work is evaluated, so that you know how to gauge your child’s progress. Appreciate that teachers must juggle the unique needs of many students. Work with school personnel to come up with strategies that are practical, given the realities of the school and the classroom. Acknowledge that the major motivation for success must come from your child. Work with teachers to keep expectations high and to nurture an enthusiasm for learning. Agree on how you and the teacher will make follow-up contacts to review progress. Now that you know the first step to take, there are several more steps you can take to find support and make sure your child gets the right kind of help! The most important thing you must determine is the source of your child’s learning problem. Time is of the essenceif your child does, in fact, have a learning disability, “wait and see” almost always means “wait and fail.” If you act early, you will gain the peace of mind that comes with knowing what is causing your child’s learning difficulties. You also will be helping to ensure that she overcomes her struggles and enjoys success in school. Collect information on your child’s performance. Keep notes, copies of your child’s assignments, and any correspondence from your child’s school regarding your child’s performance in a folder so that you can document any patterns. At the same time, it is also important to observe your child’s strengths and interests, encouraging and rewarding your child for the things he does well. Monitor your child’s progress. Watch your child’s progress to be sure that your child’s needs are being met. 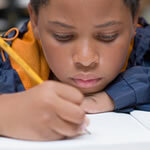 Keep your child’s education folder up to date, adding new samples of schoolwork and test results. If your child is not making progress, discuss your observations with school personnel and work together to make changes. You may need to ask for a comprehensive educational evaluation to determine if your child may be eligible for special education services. Learn as much as you can. The more you understand about the way your child learns and the help that’s available, the better equipped you will be to help your child succeed. If it turns out that your child does have a learning disability, you also need to be aware of your rights and protections under the law. Join with others who care. By joining with other parents and professionals you can increase awareness of the issue, dispel popular misconceptions, help establish educational systems that provide for the needs of children with learning disabilities, and get support for yourself. Locate the LDA Chapter near you today! Enjoy your child and encourage an interest in learning. You can encourage your child’s interests outside the classroom and create a home environment that supports the way your child learns. Rather than focusing solely on your child’s deficiencies, emphasize and reward your child’s strengths. Visit our Parents area for additional information on how to help your child and help yourself!